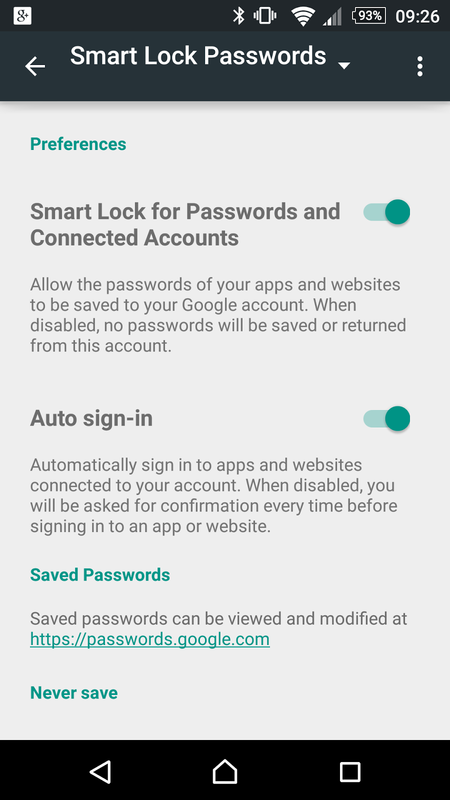 With all the recent excitement with Google I/O 2015 there was the integrated SmartLock option in the Google Settings that caught a lot of attention and for good reasons. This will make getting into some of your application and or website much easier than it did in the pass. This can be positive and negative, all depends on how you want to see it. 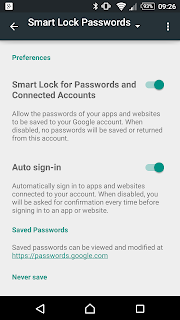 We have "Smart Lock for Passwords and Connected Accounts" and if you do read the information associated with that option, it allows to have the passwords for your apps and websites to be saved to your Google account. The "Auto sign-in" feature is something that most users will be too happy to make use of. Too many times, if you use different passwords like I do, you can forget them. This feature would make for signing into your apps and sites a breeze.